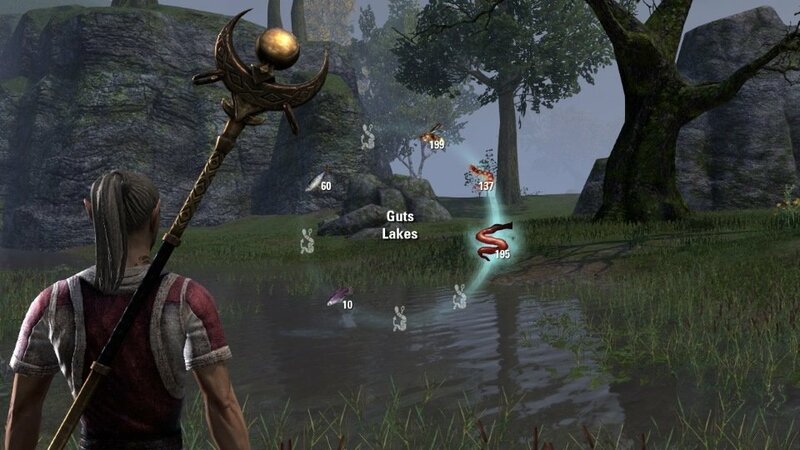 This addon stores the type of a fishing hole once a specific fish or bait was catched. 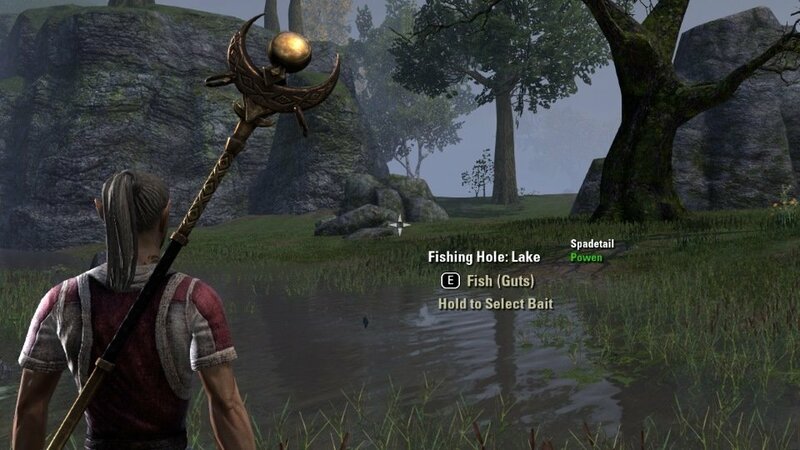 The type and the fishes and baits already catched there, are shown in the interaction menu while focusing the fishing hole. Pins with a corresponding color are added to the map. Inspired by Luminary - FishMe - Know your Bait & Fish: "Reel In" Notification. The idea from awesomebilly is genius. I rewrote it from scratch. Hopefully more robust against false alerts. Always remember: As it is an indirect indication only, it can be fouled. In order to avoid false alerts, the notification is suspended, if your are in the menus. There is no API to get the type or position of the fishing hole. It is an estimation. 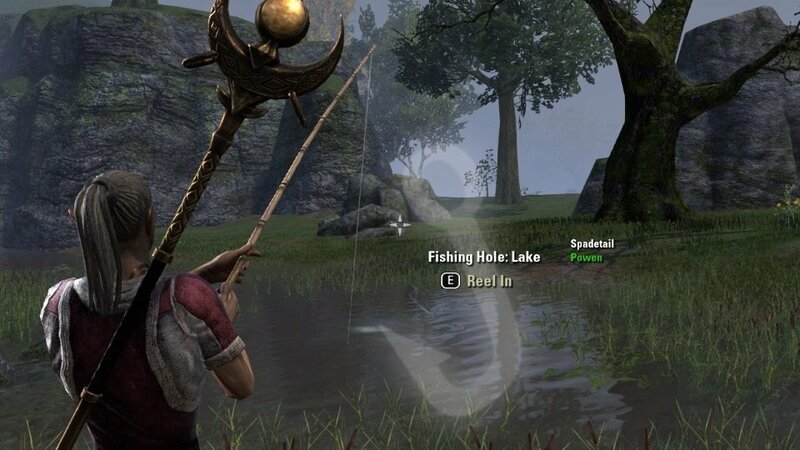 There are locations, where the fishing holes were so close to each other, that even the game itself does not know which to use, depending on your position and heading. Dieses Addon speichert den Typ eines Fischgrunds sobald ein entsprechender Fisch oder Köder gefangen wurde. Im Interaktionsmenü wird der Typ und die dort bereits gefangenen Fische und Köder angezeigt während der Fischgrund fokusiert ist. Marker mit der entsprechenden Farbe werden auf der Karte angezeigt. Inspiriert durch den in Bait Informer nicht implementierten Feature Request von cnschu: Der Verwendungszweck der Köder wird im Quickmenü angezeigt. Inspiriert durch Luminary - FishMe - Know your Bait & Fish: "Einholen" Benachrichtigung. Die Idee von awesomebilly ist genial. Ich hab sie neu geschrieben. Hoffentlich robuster gegen Falschalarme. Bedenkt immer: Es ist nur ein indirekter Indikator und kann daher reingelegt werden. Die Benachrichtigung wird unterdrückt, wenn ihr in den Menüs seit, um Falschalarme zu verringern. Es gibt keine API um an den Typ oder die Position des Fischgrunds zu kommen. Es ist eine Abschätzung. Es gibt Stellen, wo die Fischgründe so nah zusammen sind, das selbst das Spiel, je nach Position und Blickrichtung, nicht weis welcher gerade angewählt ist. Damit müssen wir leben. - Another fix to get the map pin filter work with PvE and PvP zones correctly: "Show Pins" removed from settings. Working with map filters only. - Fixed stats missing the data, because of the saved variable structure change in 1.12.0. - Fixed newly created data stored at wrong place. - Another fix to get the map pin filter work with PvE and PvP zones correctly. - Fixed the "map pins" export. It did allow multiple exports resulting in duplicates. - Fixed typo GetItemId => GetItemLinkItemId. A result of rushing. - New saved variable format for less whitespace in the file. - New options: Selectable icon per fish type. - Update to API 100026 "Wrathstone": Bait info no longer necessary. It is built-in now. - Update to LibGPS2 rev. 16. - New option: Enable/Disable map pin tooltip. As requested. - Auto adjust maps. Better result in dungeons. - Updated russian translation. Thanks to KiriX. - Fixed errors in Stats after renaming functions. - Update LibMapPing rev. 8. - German: Built-in typo is correct => localization file updated. - New option: "Show Map Pin Contextmenu". Default on. Requested. - Adjusted focus ranges of additional Summerset delves. - Added Brazilian Portuguese translation. Thanks to @mlsevero. - Update to LibGPS rev 15. - Adjust focus range for Summerset. - API bump 100023 "Sommerset". - Update to LibGPS rev 14 and LibMapPing rev. 6. - Added Brass Fortress to CwC loot list. - Fixed using in some dungeons. - New option: Reel-In hook size slider. - Support "Hissmir Fish-eye Rye" for water type. - API bump Clockwork City. - Update to LAM rev. 25: Clockwork City. - Update to LibGPS rev 13: Clockwork City. - Adjusted the focus range for "Bleakrock Isle" a little bit. - Update to LibCustomMenu rev.5: Fixes error clicking on a map pin. - Update to LAM2 rev 24. - Showing map pins is per character, now. - Update to LibGPS rev 11. - Gather data for statistics. - Update to LibGPS rev 10. - Changed detection range in Shadowfen. - Update to LAM2 rev 23. - Update russian translation to real UTF-8 charset. - Super simplified in-reel bait counter. Thanks to @estera! - Fixed deleting pin via contextmenu. - Update to LibMapPing r4 to fix waypoint bug. - Map pin context menu. Requested by @uladz. - Update to LibGPS r7. - Fixed pins not shown, due to new LibGPS. Reported by @uladz. - Fixed bug with gamepad mode tooltip. - Lightweighted the text used by WaypointIt. Old text still visible as tooltip text. - Increased focus radius for dungeons. * Old radius caused false new detection in "Village of the Lost"
- Improved map pin rendering: Use time left for current framerate. - Support of Fyrakin's MiniMap by explicitly working around sub-optimal time-frames. - Improved map pin rendering: spreading load over time. - Changed fishing hole position detection a bit, again. - Tweaked fishing hole position detection a bit again. - No auto cleanup at startup (for faster startup) Instead a new option in the settings to manually doing it, if needed at all. - Hopefully improved detection if fishing holes were close to each other. Still not perfect, but better. - Update to LibGPS r5.1: Technical improvement. - Update to LibGPS r5: Fix error for dungeons. - Update to LibGPS r4.3: Fix error for dungeons like "The Harborage"
- Update to LibGPS r4.2. - Update to LibStub r4. - Update to LibGPS r4. - Minor code cleanup with creating controls. - ESO 2.1 (Update 7) ready: Once live, you can safety increase APIVersion in manifest or allow "out-dated". - Always trigger first map measurement, even if POI map pins are disabled. - If required, bring map back to player location if interacting with fishing hole. Just to be sure. - If required, bring map back to player location if quest tracker updated map pins while map was not visible. Just to be sure. * This may caused wrong map pins, if player is in a sub-zone. - Bait usage info: Hook ItemToolTip:SetLink, too. - Update to LibAddonMenu-2.0 r18 and LibStub r3. * As a side-effect, the local coords can "jump", if you enter/leave a sub-zone. And the values can be negative or greather than 100, if you are in a sub-zone and the fishing hole is not. - New "reel in" animation styles. Default is Pulse1. - Add fishes and containers to list of catched items, only. - Fixed another add-on constellation where map pins did not appear. - Map pins did not appear without another add-on using LibGPS. - Russian language file. Thank you, KiriX! 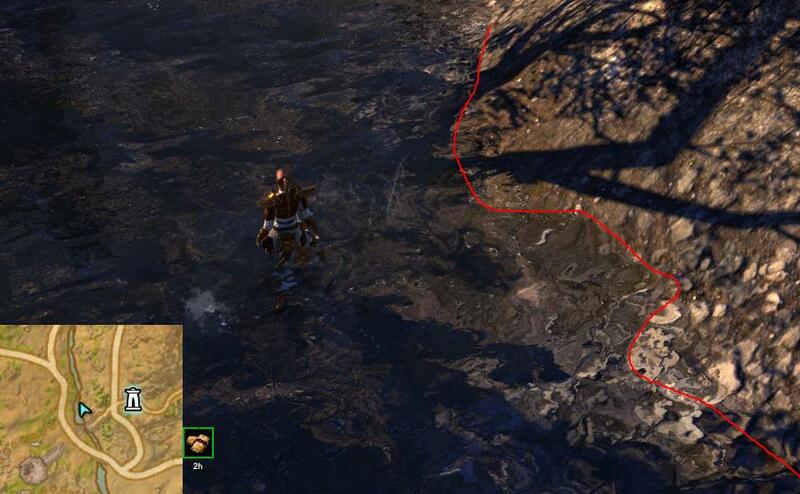 - Show pins in Fyrakin's Mini Map without need to open world map first. - Unspecified fishing holes no longer get erased automatically. Now, you just need to approach to keep the location. * You can still make it visible again by using the key-bind. - Loot of other players was counted. I misunderstood parameter as source, not as destination. Thanks circonian for the hint. - Fix an issue with fishing and looking around (have turned the camera away from the fishing hole while reel in the fish). - Switched settings to LAM2. - Refresh pin color upon first catch. - Changed formatting in debug output. Another fix to get the map pin filter work with PvE and PvP zones correctly: "Show Pins" removed from settings. Working with map filters only. Last edited by Marazota : 04/09/19 at 03:53 AM. Can you please put back the option to turn off the map pins? I only use this addon for the reel-in notification. It's in the map filters now. Open the map (press "M") and simply hide the pins. Should work, did not yet test. But it doesn't work with the map pin filters. huh?? ok. I check that. Last edited by votan : 03/24/19 at 02:58 PM. Could this be addon related? In Greenshade at Zone Zoom lvl pins off to the left. In Greenshade at Marbruk Zoon lvl pins okay. You could test if the position of you player pin position changes with and without addons. In Greenshade at Marbruk Zoom lvl pins okay. Last edited by dan_el2 : 03/25/19 at 12:10 AM. Do you have any instructions or a readme for the newly added /vfexport and /vfimport command? Thanks for the report. I found it. Last edited by dan_el2 : 03/19/19 at 03:32 PM. Would it be possible to have the addon reel in, grab inventory, and recast? Would be super helpful if you could share or transfer fishing point data. I game from 2 different PCs. You could copy-paste your saved variables file between the PCs. I did not try this, so be sure to make a backup of your file first! That doesn't work. Tried it myself and none of the fishing pins were transferred. There must be another file that saves the fishing pins. I saved the backup of my previous Votan's Fisherman so if anyone could tell me what file(s) I need to move to the new Fisherman addon folder, I would greatly appreciate it. Anyone out there that can help? I logged on today and noticed that all my fishing spot pins are gone. I've tried reloading the ui, reinstalling the add-on, turning the pin feature on and off and none of it works. Is this something that happened with the latest update? Sometimes (I have not found out why yet) you have re-enabled the pins in the map filter tab. If it is not that: Yes, I changed the saved variable format bit. But(!) there is an automatic migration. I tested that. My pins are not gone. What is the size of your Fisherman saved variable?